Condensed knowledge for the adventurer. A Real-Adventure fact sheet with 13 pages full of condensed knowledge on how to cross wild rivers on foot. Including 7 safe crossing methods. 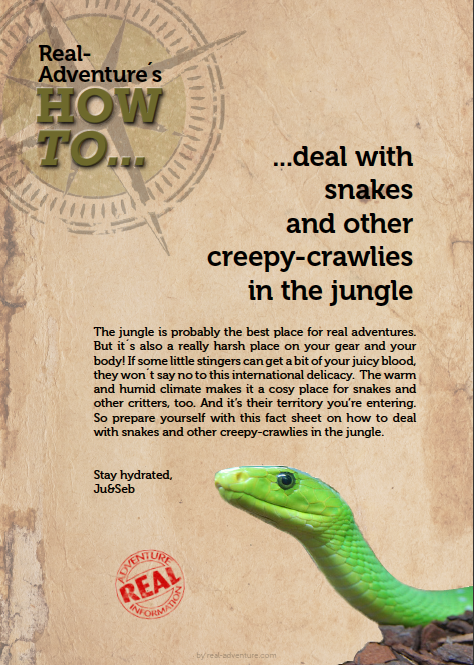 A 6-page PDF file on how to deal with critters. Including the ultimate 10-step emergency plan for snake bites.